Flat Roofing Prices: IB Roof Installation Costs in MA, RI, CT and NY. When it comes to replacing your flat roof, you need to think long-term. Getting a cheaper roof, such as EPDM Rubber, may be appealing at first, but if you are looking for a long lasting, durable, leak free, energy efficient and low maintenance roofing membrane, an IB PVC Roof is the best choice. IB is a premium product and costs more than most other flat roofing materials. Here we review flat roofing cost structure and, IB Roof prices and packages that we offer in Massachusetts and surrounding states ( CT, RI, NH, ME and VT). At some point, there comes a time when flat roof patches stop working and it needs to be replaced. Installation price from every roofing company also includes that company’s overhead or cost of running the business. An established roofing company should be fully insured. This includes adequate Liability and Worker’s Comp Insurance. If, for example, you get a very low bid, consider that the bidder might not be adequately insured or have no insurance at all. If that is the case and you hire such a contractor, you will be responsible for any damages or injury claims that may occur. Residential flat roofs are priced at $675 per square for a simple roof, with no existing roof removal. This includes 50-mil IB Roof membrane, 1/2 inch foam insulation with 2 r-value, perimeter pressure-treated wood nailer and half-roll membrane around the roof edges for wind-uplift prevention. Roof attachment using heavy-duty screws and barbed plates, 6 inches O.C. along the perimeter and 12 inches O.C. in-field. All required roofing parts and accessories are included. Generally, for a 1000 sq. ft. residential home, your cost should be around $6750 for an average (simple) roof. If you would like to upgrade the membrane type or add more insulation, this will slightly increase your price. Please note: For all residential installations, all IB roofing membranes come with a lifetime residential warranty, therefore there is no need to upgrade from 50 to 80-mil product, as both will perform equally well in protecting your roof from the elements, and will remain water-tight throughout their service life and beyond. 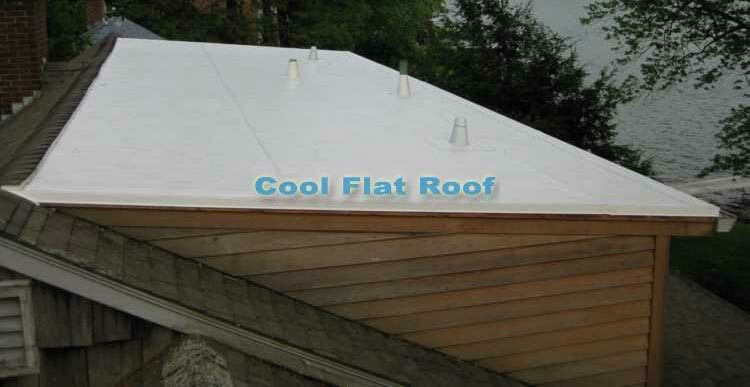 Commercial flat roofs are priced at $600 per square for roofs over 25 squares (2500 sq. ft.) The price difference from residential roofs is due to ‘economy-of-scale’ factors and lower per-square ‘setup’ and insurance costs.If your commercial roof is around 50 squares you can expect a $30000 price range. Use our interactive roof price calculator to estimate the cost of you roofing project. You can choose different roof options and difficulty level. You will get ‘quotes’ for an IB roof, as well as other roofing products, and approximate energy-savings derived from using an IB roof. Please Note: All prices described above are assuming an ‘average’ roofing project and may/will change depending on your roof’s condition and scope of work required. The price may change in either direction, and will be determined on a case-by-case basis. We are a premium roofing contractor, and we do not compete with other roofing companies solely on price. Our roof packages are priced according to the superior quality, warranty and customer service we provide. All packages described below include roof installation in accordance with manufacturer’s specifications and state/local building codes. 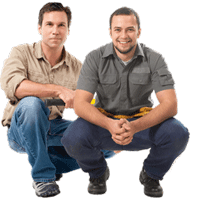 They also include the cost of building permits, material warranty and our labor warranty. Prices below do not include tear-off of the existing roof, as that usually varies a lot from one flat roof to another. The cost of a tear-off is determined on a case-by-case basis, when we perform a roof inspection. Please refer to our Residential roofing and/or Commercial roofing sections to see the available material / color / membrane thickness options available for your particular roof. 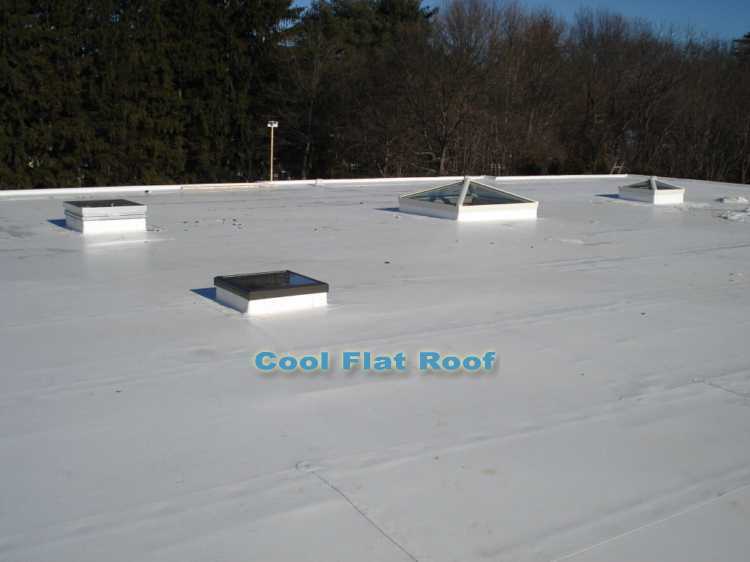 Our basic and the most popular roof package, includes 50-mil white IB Roofing membrane with all necessary trim, flashings and accessories such as drip edge, air-vents, inside/outside corner flashings, drains, etc., and 1/2 inch fanfold Styrofoam insulation. Cost of this package starts at around $675 per square (100 sq. ft.) of roof area. IB Traditions was created specifically for low-slope roofs with aesthetics in mind. They offer the beautiful look of architectural shingle combined with proven reliability of an IB roofing membrane to give you decades of leak-free performance and curb-appeal. IB Traditions come in three color options: Sierra Vista ( beige / brown ), Stony Ridge (grey) and Mountain Spruce (green). To maintain a consistent shingles look, all IB Traditions installation feature hand-welding of all seams, and use special accessories / flashings designed to match the aesthetics of IB Traditions. Cost per square for IB Traditions is $775-825, and includes 1/2 insulation and all necessary trim and flashings. Includes 80-mil white membrane, 1/2 insulation and all necessary trim / accessories / flashings. Cost per 1 square is $800. If you are looking for an 80-mil Color IB roof, there are six standard colors available and $850 per square. For custom colors the minimum order must be 100 squares ( This is the requirement of IB Roof Systems, and we have no control over it). Are you excited about an IB Roof? Fill out our Roofing Estimate Request form and indicate which IB product you are most interested in, as well as details about your roof. We will contact you very soon after receiving your request, and we will work with you to provide the best roofing system available! Building a residential addition/deck. Would like IbDeckshield. Size is 22 wide by 16 deep. Looking for a quote for install in Salem, NH. Planning on pitching roof 1/8″ per foot (2″ rise 0-16 feet). Looking for some guidance on how you would want the sides framed (sheathing extend beyond for a drip edge or no?) Any help would be appreciated. I have project im doing,it is two commercial buildings total of 35,000 square feet approx 350. Square.be r and r.putting down torch down materials.if i had 4 experienced roofers and two labors.how long should it take after all old roof was off? Basically it’s a guessing game, because a lot of variables can slow down or speed-up the process. If you have many curbs / penetrations on the roof, it will be slower. I have 5550 sq ft barn of roof that I need to roof, do you know labor cost to have some roofing pro to do it. with 4″ you need to build out perimeter wood nailer – 6″ x 4″ wood perimeter made out of 1 1/4 x6 decking boards, to match height of insulation. Add to that cost of 4″ insulation – materials alone will be $180-240 / square, depending on supplier … and let me tell you – I know ONLY ONE supplier that can do $180 … most others are 20-30% higher! IB roof would be excellent for green roof. Much better than rubber or built-up / torch down roofing, mainly because IB PVC is heat welded, and once you weld seams and flashing, it becomes one piece of roof. Probe it to make sure there are no voids, put T-patches on all T-joins, and you are good to go with a green roof – modular or “one piece”. Rubber and torch down rely on adhesive (rubber) and melting tar for built up. These systems are know for seams coming apart after just few years. You don’t want to put a green roof and take it apart WHEN rubber or built up roof start leaking. You want to install it once and forget about it. Great article. I am planning to get a new roof for my home and am looking for the best choice . I read too many articles on many blogs but this is the best till now. I will go for natural clay tiles. They are the best choice i think. There are so many roof designs and some are perfectly built, some people choose to have commercial rooftop for commercial purposes. Well, for me it’s a good way of having shelter and benefit from it too. Just make sure that your roof is tough to stand whatever you put on it. Thank you for these very helpful articles. The information you have given can greatly make other people’s life easier, especially when it comes to deciding which roof they should use. Roof costing is very important when we want to construct a new roof. People would surely want to have a very reliable roof with a reasonable price. I am very grateful that you shared these ideas. I will put this on mind so that I won’t regret the decision that I will make. I hope you keep this site updated. I believe many people could really use the information that you put on this site. Does your pricing calculator factor in the use of a cover board such as DensDeck over the 2″ poly-iso insulation? Is your pricing based on a fully adhered installation or mechanically attached? Our roofing price calculator at this time does not include option for DensDeck as it is rarely used or required. Though I like the idea of adding this option to the calculator. We will implement it soon. The pricing is for both fully adhered and mechanically attached roof installation. However most of our roofs are mechanically attached, unless it is required to do a fully adhered assembly. One of the reasons for mechanically attached roof installation is better wind uplift ratings and ability to install roofs during the winter. When it is cold out, the glue (adhesive) will freeze, so we cannot use it. If you need a price on the DensDeck, I can give you a general idea per sq. ft. but it is better to price it on per job basis as there may be too many variables. You can use our roof estimate form to submit your project information or reply here, and I will post it up.